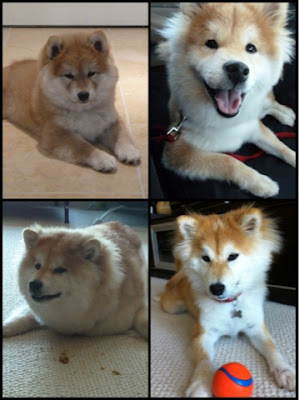 Top left: 2 months old (September 2010), with fluffy baby fur. 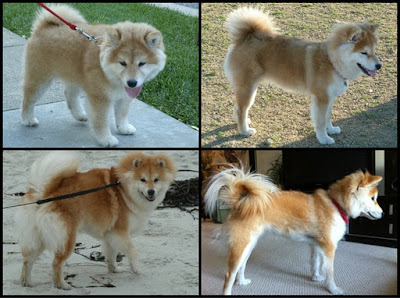 Top right: 6 months old (January 2011), after she lost her baby fur. Bottom left: 10 months old (May/June 2011), got super fluffy after a ski trip to Tahoe.